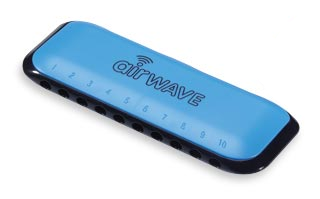 The 10 hole Suzuki Airwave is the perfect way for beginners to progress on the harmonica. 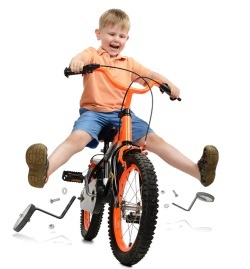 We include an Airwave in all our KS1 and KS2 Starter Packs. Like the 4 hole Speedy, the Airwave’s big advantage is its extra-wide hole spacing. This makes individual blow and draw notes much easier to locate. Each hole is numbered on the Airwaves top cover; the middle four holes 4, 5, 6 and 7 provide exactly the same notes as a Speedy. And like the Speedy, the Airwave comes in the key of C major. The additional lower and upper octave of the Airwave mean that there is a whole new selection of tunes you can learn. And once these are mastered, there is a new level of new key skills to investigate, such as reed bending! Once the Airwave is mastered, it’s time to graduate to the 10 hole Silver Star harmonica (or a similar standard 10 diatonic). The notes in the 10 holes of the C major Silver Star are exactly the same as those of the Airwave. But now it’s time to re-educate your lips and embouchure to play the closer hole spacing of a standard gauge 10 hole harmonica. 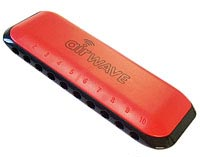 The Suzuki Airwave is designed to welcome newcomers to the magic of 10 hole harmonica music. And it’s engineered to last. The cover plates can be unclipped and removed for easy cleaning. The reed plate is bolted firmly in position and will withstand the impact of accidental drops or throws. With the aid of a small jeweller’s screwdriver, the reed plates can also be removed for additional cleaning. For further advice visit our Maintaining Your Airwave page.